At it’s meeting of May 22nd Council appointed the following five (5) community members as Directors of Pittwater Environmental Foundation for a period of 3 years. Council thanked the interim Directors Cathy Griffin and Conny Harris. The Pittwater Environmental Foundation was established in 2006 to conserve and enhance the natural environment of the Pittwater local government area through the application of tax deductible donations, gifts and bequests. The original Directors were appointed by Pittwater Council. About 33% (about 1600 ha excluding National Parks) of the original pre-European bushland in Pittwater remains in a reasonably natural or undisturbed condition. Of this, only about 400ha remains in public ownership. All remaining natural bushland is subject to encroachment, illegal clearing, weed invasion, feral animals, altered drainage, bushfire hazard reduction requirements and other edge effects. Within Pittwater 38 species of plants or animals are listed as endangered or threatened under the Threatened Species Act. There are endangered populations and eight endangered ecological communities or types of bushland. An updated Profile of the PEF runs this Issue giving an overview of works and workings, pending the first meeting of the Directors. Pittwater Environmental Foundation was established in 2006 to provide an avenue for supporters to provide donations, grants and bequests to conserve and enhance the natural environment of Pittwater. All donations are tax deductible. Living on the edge of a city places huge stresses on our natural landscape. 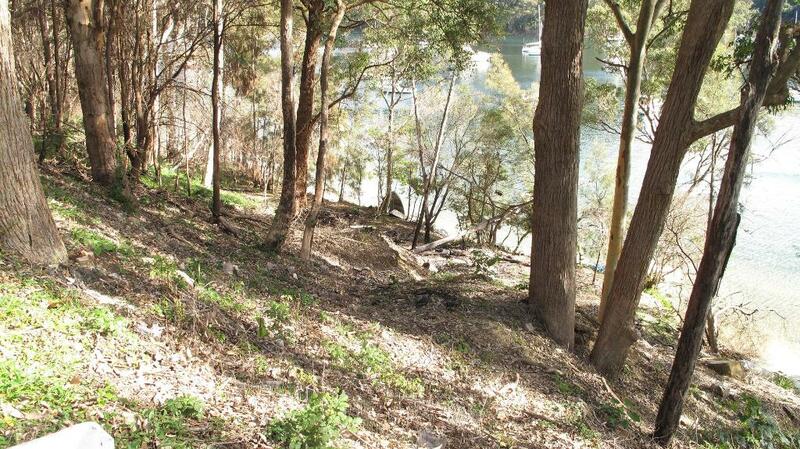 The bushland that surrounds Pittwater is an outstanding natural feature of the area. Much of it is pre-dates European settlement. Within Pittwater remnant forest reserves soften the lines of our urban spaces creating a lush relaxed environment. 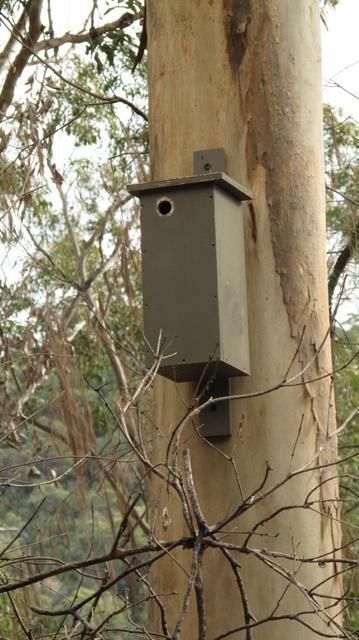 Both areas, however, are subject to encroachment, illegal clearing, weed invasion, feral animals, altered drainage, bushfire hazard reduction requirements and other edge effects. As a consequence Koala and Squirrel Glider populations have collapsed. 38 species of plants or animals are listed as endangered or threatened along with eight types of bushland also listed. Our flora and fauna need champions. Could you be that person? To achieve this we worked closely with Pittwater Council, State and Federal Government and other stakeholders to identify and prioritise environmental issues in our area. Can I ask for funding? The Foundation welcomes local community applicants for funds and will greenlight local projects which satisfy our criteria and are considered to be the most effective use of current Fund monies. All proposals should be consistent with Pittwater Council’s Environmental Plan and may propose work which integrates and enhances Council projects. 3. 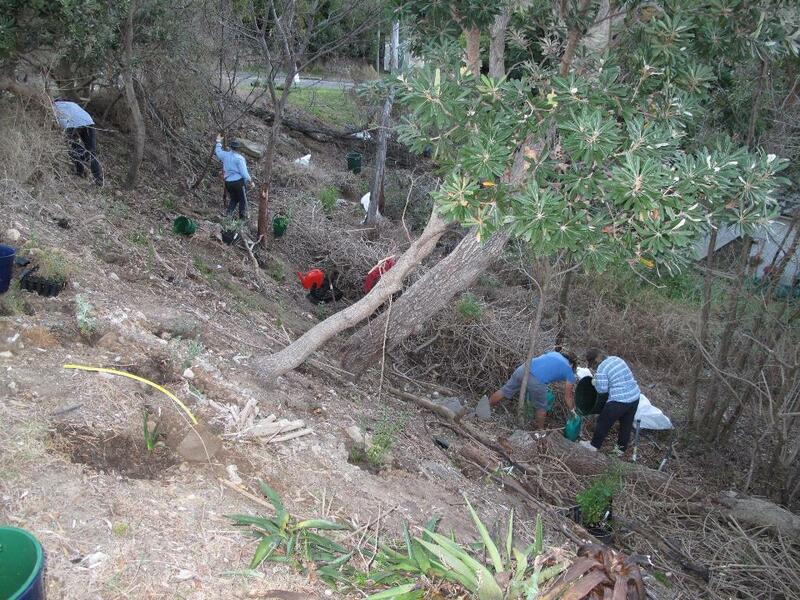 Submissions should be addressed to Pittwater Environmental Foundation P.O. Box 1608 Mona Vale NSW 1660. PEF will invite groups with suitable proposals to submit more detailed project descriptions. or request a meeting with proponents to discuss the project further and to work on details associated with project delivery and timing. The subsequent development proposals created public awareness as to the extent of urbanization proposed and its effect on the natural environment. Following a campaign led by Friends of Currawong, the NSW State Government and Pittwater Council purchased the land in 2010. PEF received $1.4 million from a generous donor for bush regeneration and other environmental upgrades. Community involvement in planting days and other voluntary events, or by way of donations would further assist the restoration of this public asset. Midholme, the original Currawong homestead dating from 1911, was carefully restored in 2014 through collaboration between Council, Pittwater Environmental Foundation and Friends of Currawong. In March 2015 Member for Pittwater Rob Stokes announced the establishment of the Currawong State Park on Pittwater’s western foreshore. In September 2017 Member for Pittwater Rob Stokes announced the NSW Government will provide $1 million to support Northern Beaches Council with the refurbishment of the Currawong Beach cottages. Mullet Creek falls from the Ingleside escarpment to the Warriewood wetlands and into the Narrabeen Lagoon. This steep narrow valley is home to many vulnerable and significant fauna species, including the Heath Monitor, Grey- Headed Flying Fox, Sugar Glider and Brown Antechinus. Of particular concern is the protection of habitat for the endangered Giant Burrowing Frog and the Red-Crowned Toadlet. Giant Burrowing Frogs have been found in the upper catchment area. Vulnerable to extinction in NSW, these frogs need water of excellent quality and enjoy calling from yabby burrows. The Foundation secured funding for a 6 year project to reduce the weed invasion along the creekline and restore native habitat. The valley remains a twitchers haven with over 170 bird species sighted in this area. This long- term project has been made possible by a $250,000 grant from the NSW Environmental Trust for the protection and conservation of Mullet Creek. Community Involvement in the project is crucial to its success. The Mullet Creek Bushcare group weeds and plants tubestock (small trees and shrubs) in this area. On Community planting days we have planted tubestock to help the forest regenerate in areas fenced off from hungry Swamp Wallabies. 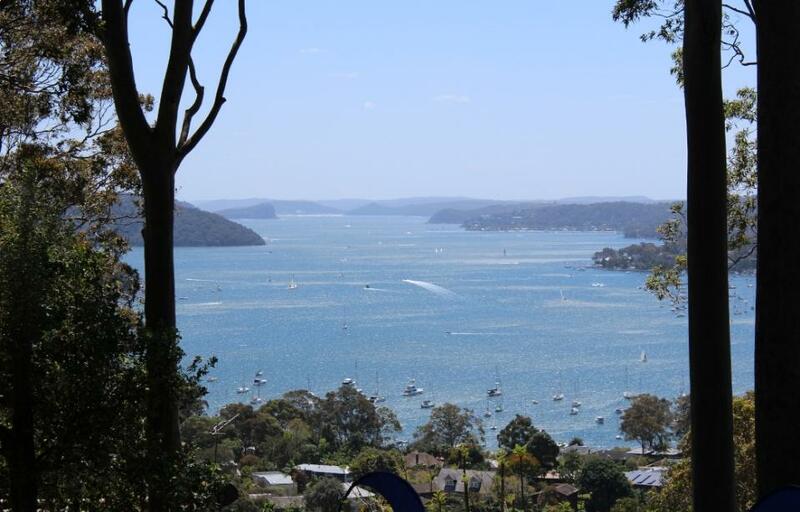 The residences fringing the lower western shores of Pittwater back onto Ku ring gai Chase National Park. This original pre European forest is a part of the nation’s natural heritage and removing weeds from slopes of the foreshore is crucial to retaining this timeless forest landscape and habitat. ‘The small grants are funded by generous local resident donations, grants from the Hawkesbury Nepean Catchment Management Authority and by the Foundation. As part of the Pittwater Environmental Foundation’s grant from the Hawkesbury Nepean CMA for bushcare and engaging the community with the Botham’s Beach site, one such project undertaken, the Taronga Zoomobile visited classes 2BG and 2HM at the then Loquat Valley Preparatory School at Bayview in August 2012. Kerry Staker, teacher and zookeeper, brought a range of animals to teach the children about habitat, each creature’s habits and how these all work together to maintain healthy environments and species. The year two students were engaged in a Sugar Glider and Squirrel Glider project and learning more about these Botham’s Beach residents and what they may do to encourage more to return. Our motto is ‘towards tomorrow’, because we are always trying to plan for the future of our natural environment here in Pittwater. This is best done by supporting projects that begin now to protect and enhance our fragile natural environment, with its wonderful variety of plants and animals. About 33% (about 1600 ha excluding National Parks) of the original pre-European bushland in Pittwater remains in a reasonably natural or undisturbed condition. Of this, only about 400ha remains in public ownership. All remaining natural bushland is subject to encroachment, illegal clearing, weed invasion, feral animals, altered drainage, bushfire hazard reduction requirements and other edge effects. Within Pittwater 38 species of plants or animals are listed as endangered or threatened under the Threatened Species Act. There are endangered populations and eight endangered ecological communities or types of bushland. The large area of bushland and relatively low population in Pittwater means that there will never be sufficient funds from Council rates and occasional grants to properly care for our very special natural environment. So we, as the caretakers of our land for future generations, must make a special effort, including financial support, to ensure it can survive in a healthy condition and be enjoyed by all future generations. Above: Volunteer Bush Regenerators at Avalon Golf Course. Population pressure continues to be major threat to Australia’s unique natural landscapes and environments. While areas such as Pittwater will never attract sufficient government funding to soften the impacts of urbanization on our natural heritage, donations from local communities and individuals committed to preserving the landscape for future generations can make all the difference. The Pittwater Environmental Foundation is a registered Deductible Gift Recipient (DGR) and can receive income tax deductible gifts and donations.